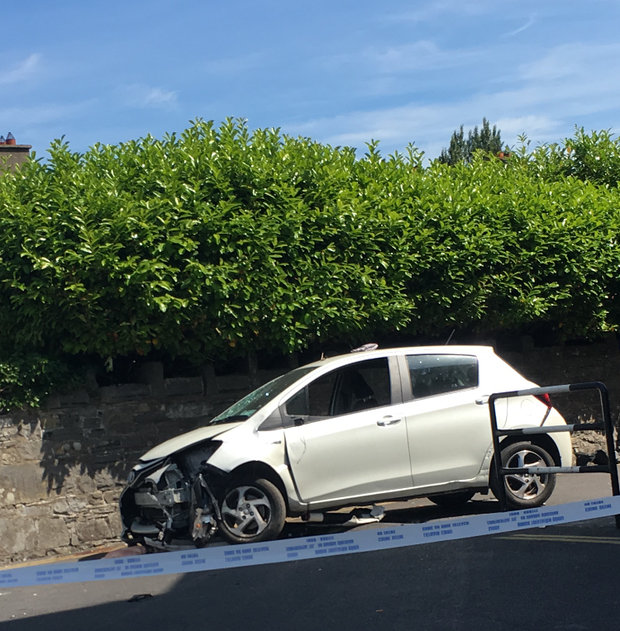 A number of people have been injured – with two in a critical condition – after a car struck pedestrians outside a Dublin church this morning. The incident happened on the grounds of the Immaculate Conception Church in Clondalkin at around 10.20am. It is understood the driver of the car fell ill and at this stage, the incident is being treated as a tragic accident. A funeral mass, which was due to take place at the church this morning, was postponed but is expected to be held later today. A white hatchback vehicle, which was involved in the collision, has been cordoned off with clear damage to the front windscreen and side of the car. AA Roadwatch said the Laurel Pk/New Rd has since reopened. 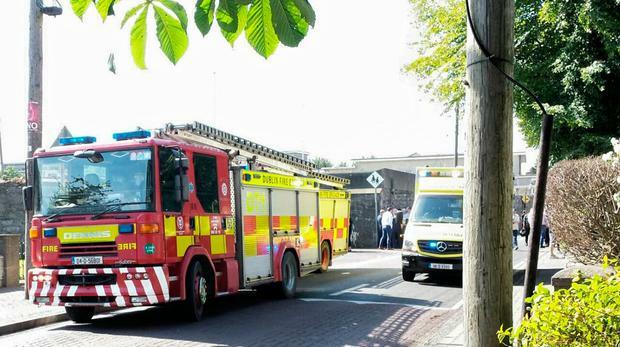 Dublin Fire Brigade had a number of fire and ambulance units at the scene. “All our resources have left the scene. In total four fire, one rescue tender, one District Officer and four DFB ambulances and our advanced paramedic vehicle attended,” a spokesperson said. Local councillor Jonathan Graham told RTÉ Radio One’s Today with Sean O’Rourke programme that his thoughts are with all involved. “I’m only a few minutes away from the scene. Both entry points to the road have been blocked off,” Cllr Graham said. “From what they’re saying it sounds like there has been a collision with a number of pedestrians. Eye witness Larry Mooney, from Blackrock, Co Dublin told Independent.ie: “It sounded like the church was actually collapsing, it was an unbelievable sound, and then I saw all of the people just rushing back. “Now it was only about 20 feet away from where I was standing but as I say it was packed with people. And then I discovered it was a car with all of the people packed underneath it. “There was also a man there who broke his thumb as well, a number of people were very seriously injured. “(It was a) hell of a shock. You wouldn’t expect it at a funeral. It is delayed now, it was meant to be at 10 o’clock, and then it was delayed until 12 but now I believe it is delayed until one o’clock. “It was so frightening,” she said.